Unique, statement pieces, often quirky, always individual. 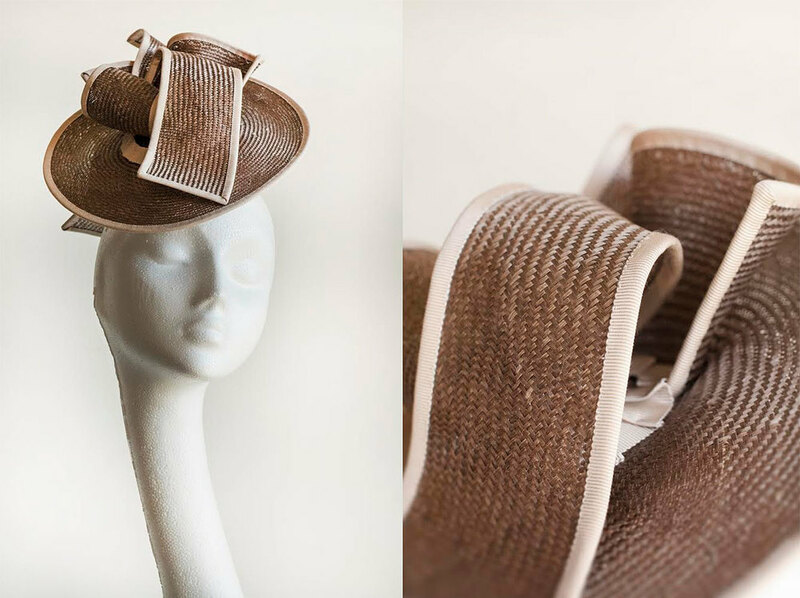 Irene - Handmade and signed vintage panama straw pillbox with bow and bead detail. 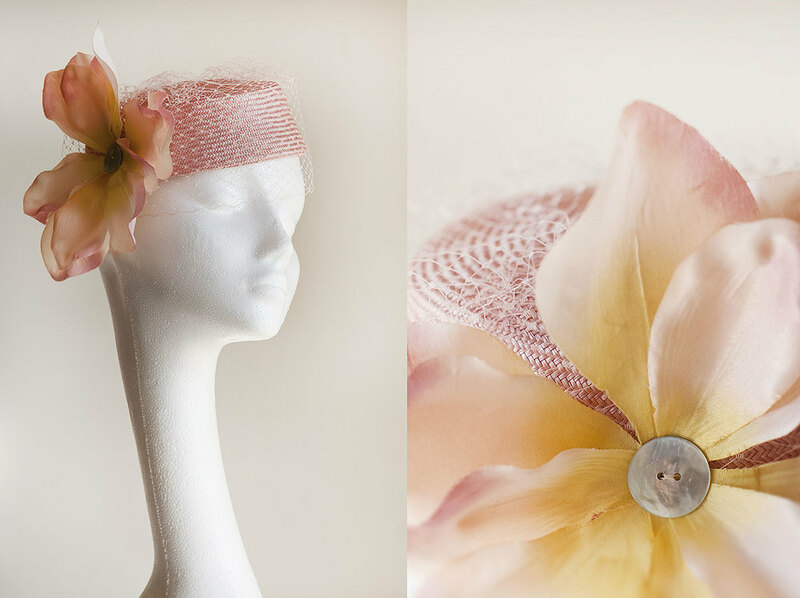 Isabella - Cocktail hat with feather. Izzy - Pink and blue fabric button with coils. Lulu - Red fabric button with feathers and vintage crochet detail.